It's all the rage to make cute cubed shaped modern homes. Architects around the world have gone to impressive lengths to make this style eye-catching, economical and eco-friendly. No matter what priorities the owners have, a cube-shaped house can pack everything in, taking advantage of a wide range of materials, structures, and styles. From the ultra-modern to the sweet and rustic, cube homes can do it all. Join us to take a peek at some of homify's best and brightest. 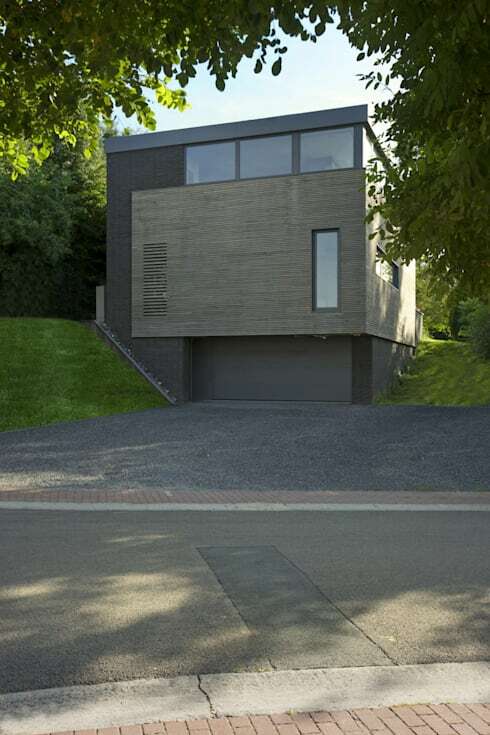 Architects CONIX RDBM in Belgium used only sustainable materials for this classy cube house. The solid black top looks stunning behind any skyline, while the night-lit pool looks like a refreshing dip. The first floor of the house is designed to maximize the light. It's also a beautiful contrast to the black exterior of the second floor. This house also puts an unusual spin on the cube design, making the second floor balcony (its on the left) look in tune with the shape of the rest of the building. This is a very unusual take on cube design, tilting it on its side for an eye-catching display. 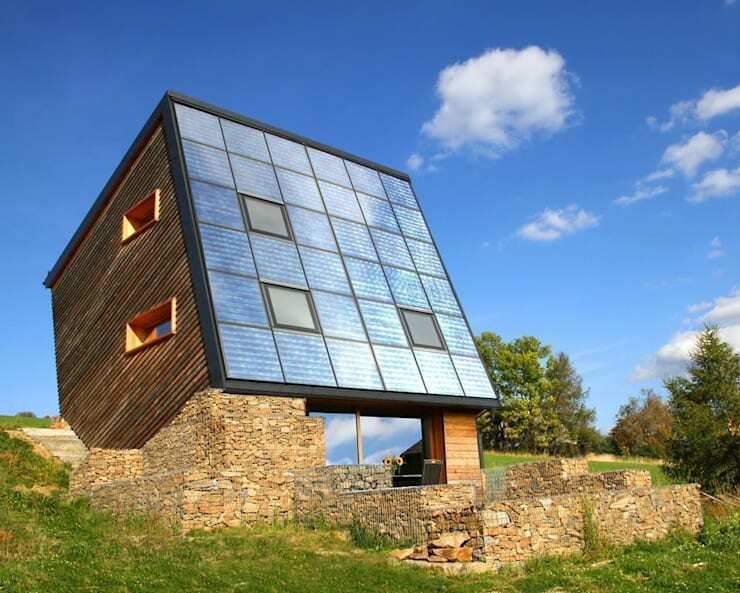 You can imagine solar panels being right at home in this kind of design, as well as the rustic display of wooden texture you find on the right side. This natural material lends unity to the building and its natural surroundings, including the low stone walls that contribute with even more interesting textures. If you are contemplating a rustic wall around your property, there are plenty of professionals who can help. 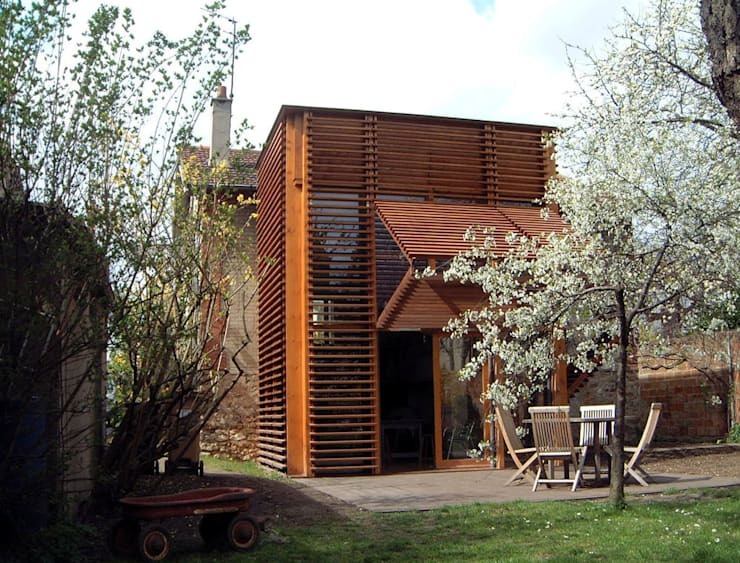 The designers of this French house say they were inspired by the cherry tree. Its deep orange-brown wood is showcased as a gorgeous structural element that shapes this house, over the glass window walls. Those obtruding panels in the front are the draw-bridge doorway, controlled by a series of pulleys. Cube houses often offer such interesting doorways, and this unique twist is a natural extension of the slatted wood design. The first thing you notice about this building is that rustic grey wood texture. 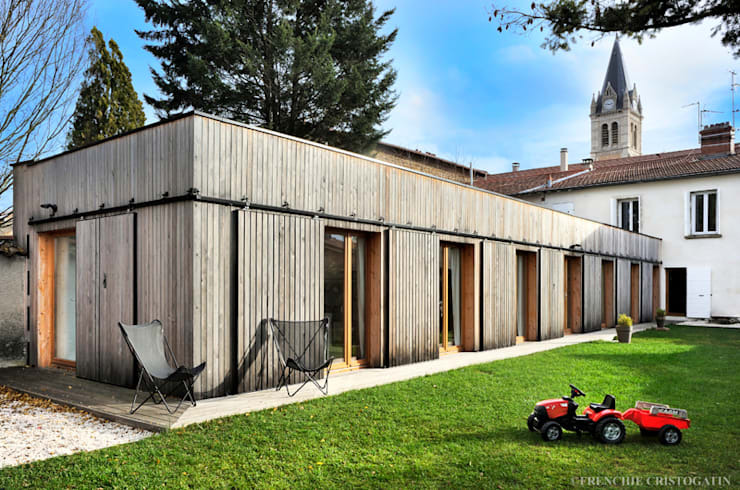 Architect Carole Guyon, in Lyon, has given this building a stunning exterior. Past the paneling are some more unique doors, this time roller doors, that allow for easy opening and control of the light and airflow inside. The whole building looks oddly industrial, considering the wood finish, and pulls off a very unique look. In the south of France, architect Christian Fares has made a building that feels like seashores and glimmering water. The white exterior, often used on cube houses, is also traditionally used on beaches edges to catch the light. It's a natural fusion, done to great effect. The triple cube structure adds some unique flair to the home, and the narrow windows serve to exaggerate this unusual shape and assymetrical style. This German gem seems beautifully at home next to the placid natural scenery. It's bright but unassuming beauty is cleverly achieved with the stark white and soft greys so commonly used, and used well, in cube houses. The entry way is pushed back so that the two white cubes frame it, bringing a sense of privacy to the pavilion. Just one example of how multi-layered cubes can make a sensational impact. This cube house is clearly inspired by brutalism, the harsh design that relies on concrete and drab grey colour schemes. It's originality lies in its asymmetrical twist, a rare element in cube houses that tend to symmetry by nature of their shape. The offset windows and the house positioning on the hill pulls the viewer's eye back to the house's place on the rear of the property. This cubic shipping container house by an architectural firm from Spain is easy on your eyes and your budget. The outside of the container has been covered in a soft grey that makes a modern bold statement in the meadow surroundings without being too harsh. 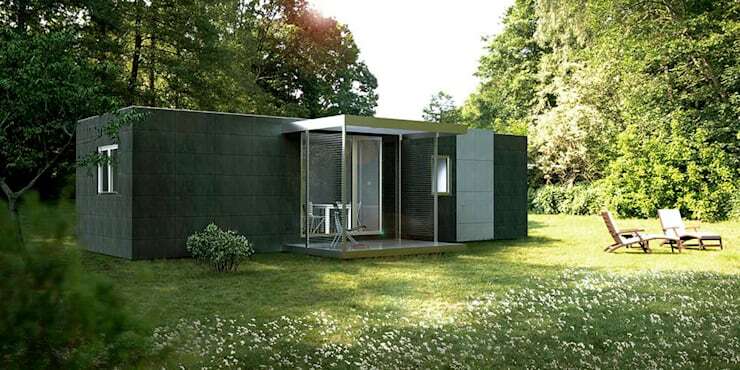 Although this space may seem small, for those who want a truly tiny home it can be modified down to 36 square metres. Then again, you can also scale it up to 75sqm for alarger family. 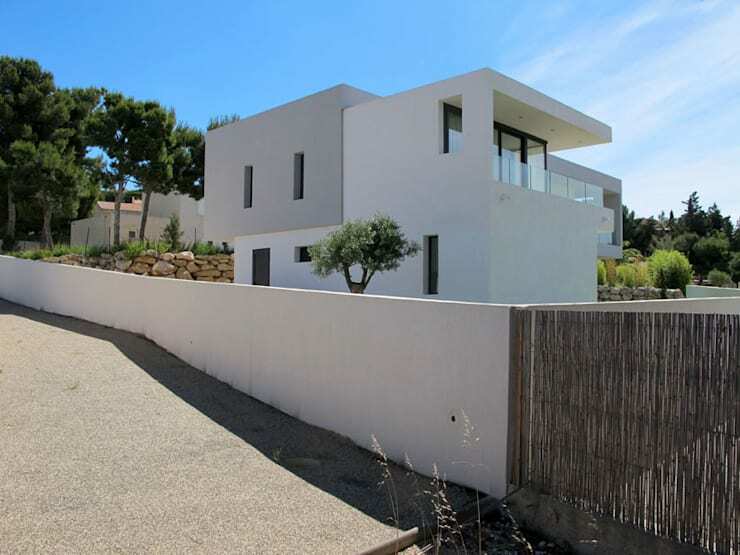 Architects Arrivetz & Belle outdid themselves with this project, built in Aix-en-Provence, France. The living room view of the pool and pastoral surroundings is simply panoramic. 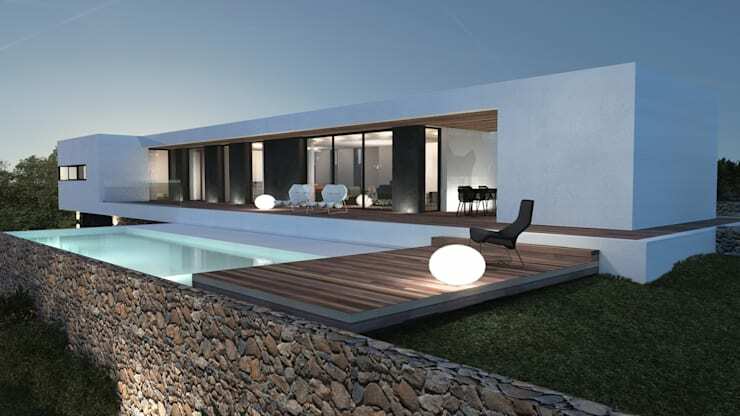 We particularly like the square pool and deck deck design that echoes the overall cubic shape of the house. Natural materials were also used cleverly here, the stone and wood provide some textured interest to the otherwise smooth white exterior. Here's a tour of another stunning cube home you won't want to miss. Which cube home was your favourite? Let us know in the comments!